No. 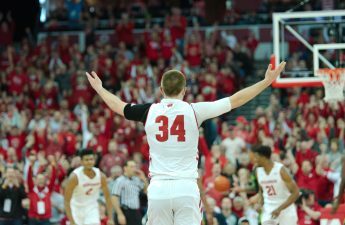 9 University of Wisconsin men’s basketball team (14-17, 7-11 Big Ten) will face No. 8 Maryland (19-12, 8-10 Big Ten) in the second round of the Big Ten Tournament from Madison Square Garden in New York City. Both teams secured a bye in the first round of the tournament, pitting the two against each other in the eight versus nine seed matchup. Wisconsin was not able to hang with Maryland in their last matchup, falling 68-63 despite the Terps missing their starting center Michal Cekovsky. This lead Coach Greg Gard to have to defend against and limit the playing time of some of the bigs on Wisconsin’s bench. “They played small that day. Could have been because Cekovsky was hurt and [Ivan] Bender had just gotten hurt. Their lineup has changed a little bit now. Cekovsky’s back playing so it gives them two or three bigs that they could play together. But they will play Cekovsky and [Bruno] Fernando together. At that point in time they were playing [Dion] Wiley and [Jared] Diggins at the four which is like playing four guards so we had to play a little smaller that day,” Gard said. 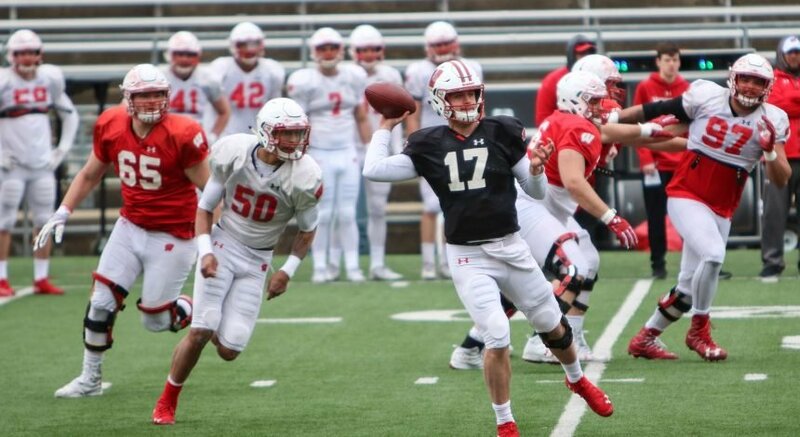 While Wisconsin will need to adjust to a bigger rotation with Cekovsky returning, the team is playing at a much higher level since their previous matchup a month ago. Many of the Badgers’ young players are starting to come into their own limiting turnovers and scoring at a greater efficiency. 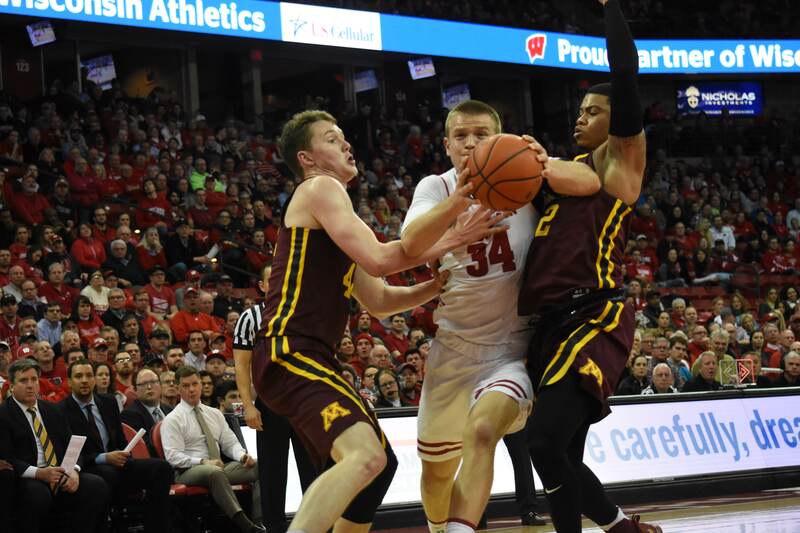 The most prominent example of this in recent weeks has been Wisconsin’s newest star player, Brad Davison. This will be the first time Davison plays in MSG and the first game Wisconsin has played in New York since their Sweet 16 loss to Florida a year ago. At this time, the point guard was watching the game with friends as a high school senior, unsure if he’d be joining the Badgers next season. But Davison says there are no pregame jitters as he prepares to play on this enormous stage. Looking past Maryland, Wisconsin may be the sleeper favorite to win this year’s Big Ten Championship. 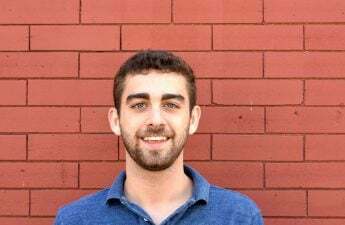 With the team playing its best basketball all year, the Badgers are looking to prove their worth in New York, as their only realistic shot to make the NCAA tournament is to win their conference tournament outright and receive an automatic bid. Already taking down No. 2 Purdue two weeks ago and nearly defeating No. 1 Michigan State on Sunday, the Badgers have shown they are capable of beating the Big Ten’s best. 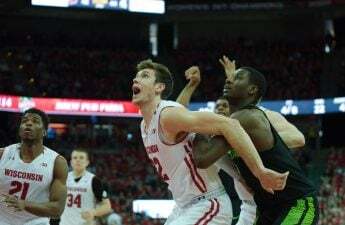 If Wisconsin defeats Maryland, they will face a rematch against a rested Michigan State team Friday afternoon. Wisconsin’s fate will ultimately come down to whether or not they can execute on basketball’s highest stage, Madison Square Garden, this weekend in New York. Tip off will start at 11 a.m. central time Thursday with live coverage available on the Big Ten Network.